Looking for an exquisite location to impress an important client or an elegant location to host your wedding reception or birthday party? 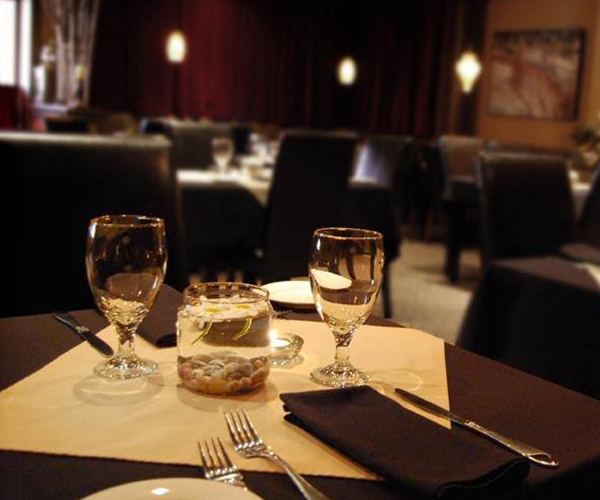 We offer a private dining room at our downtown Orillia restaurant free of charge. If your group is large we also offer the option to book out the entire restaurant for your event. Era 67 offers a private dining room for your small events free of charge. Our Heritage Room holds up to 12 people and should be booked in advance. This warm and welcoming private dining room provides the perfect backdrop for special occasions including birthday parties, showers, engagement dinners, intimate weddings or corporate meetings. If your event is larger than 12 people we offer our entire restaurant for custom, private event experiences. You can select from existing dishes on our menu or create a custom menu with the help of our knowledgeable staff and chefs. Our dining room and lounge can host up to 94 people, with an additional 40 people on the patio. Whether you are planning a wedding, family reunion, anniversary party, or corporate event, we’ll tailor the menu to suit your specific event. Once your menu has been designed, we provide you with a price quote for your review.